Born on April 12, 1968, Mr. Muhammad Khan Bhatti has been serving as Secretary, Provincial Assembly of the Punjab since 2008. 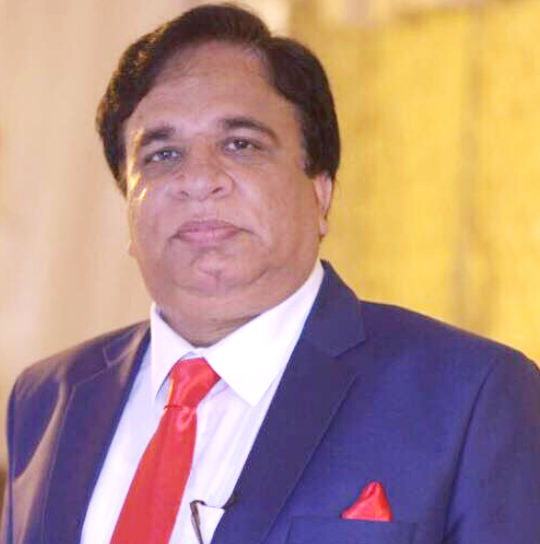 He completed his education from University of the Punjab and joined Government service in Civil Secretariat in 1988. He joined Assembly Secretariat in 1996. In Assembly secretariat, he has held different posts including Estate Officer, Deputy Secretary, Additional Secretary & Special Secretary. He also served as Additional Secretary & Special Secretary in the Chief Minister Punjab Secretariat on deputation. He was promoted to the post of Secretary, Provincial Assembly of the Punjab on 8th March, 2008. He has vast experience of his job. He visited China and UAE. Born on January 1, 1963 at Sargodha; obtained Master degrees in the disciplines of Library Science, History and Political Science in 1986, 1988 and 1998 respectively from Punjab University; also obtained LL.B Degree in 1992 from University Law College and LL.M. from University of South Asia (USA). 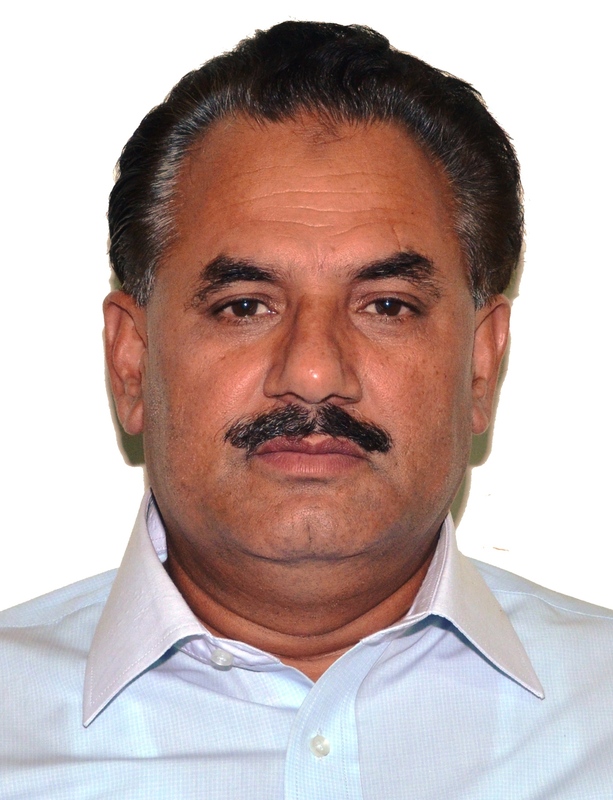 He joined Provincial Assembly of the Punjab Secretariat as Librarian (BS-17) on 9.9.1987; (BS-18) from October 15 1997 to May 4, 2004 against upgraded post; promoted as Director (Research and Publications) (BS-19) (May 5, 2004 to September 15, 2007). He was promoted as Director General (Parliamentary Affairs & Research) (BS-20) in 2007; and is functioning as such in BS-21. He attended workshops and seminars at national and international levels and delivered lectures in some of them. He also conducted as Resource Person training/orientation sessions on parliamentary procedures for the Members of the Provincial Assemblies of Punjab, Sindh, KPK and Baluchistan organized by PILDAT (Pakistan Institute of Legislative Development and Transparency), WFD (Westminster Foundation for Democracy) and UNDP (United Nation’s Development Programme) at federal and provincial capitals of Pakistan. He traveled to USA, U.K, Spain, Canada, India, Thailand, Philippine, New Zealand, Australia, Norway, Grand Turks & Caicos Island, Dubai and Saudi Arabia. Khalid Mahmood holds the degrees of M.A. (English), M.A. (Urdu) and LL.B. He has a vast experience of serving in the Assembly Secretariat in various wings expanding over a period of three decades. 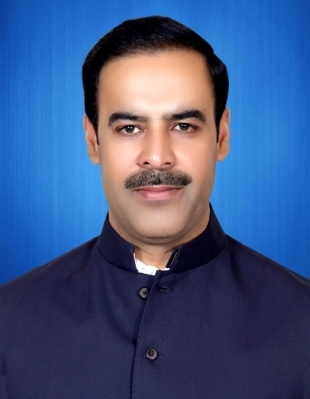 He has been serving in Legislation wing of Punjab Assembly since 2002 and presently he is functioning as Deputy Secretary (Legislation) since July 16, 2013. To his credit are a number of research publications of the Assembly Secretariat including ‘Biography of Members’ (2005), ‘The Punjab Parliamentarians’ (2007), ‘Handbook for Members’ (2008), ‘Biography of Members’ (2010) and ‘Handbook for Members’ (2017). He has also authored an Article titled “Tracing the History of the Punjab Provincial Assembly” published in 2009 in the Commonwealth Parliamentary Association’ Journal “The Parliamentarian” (published from London, UK). As a permanent member of Editorial Board, he is vigilant and responsible for updating official Law website of Law Punjab Assembly which publishes all the laws applicable in the Punjab. A number of workshops, seminars and conferences he attended, have complemented his service experience. He has also completed a number of training courses including ‘Legislative Research Training’ conducted by PLSP - USAID (Islamabad, 2006), ‘Legislative Drafting for Social Change’ conducted by PLSP - USAID (Islamabad, 2006), ‘Workshop on Rules of Procedure’ conducted by PIPS; and ‘Public Policy and Governance Course’ (MPDD). He has attended national conference, as Presenter, on “Harmonization of Rules of Procedure”, held in Islamabad in March 2016. His international exposure has also played a vital role towards his career development; he visited UK for a study tour in March 2014 on invitation by the Westminster Foundation for Democracy, UK. He has also completed a course on “Effective and Efficient Management of Parliamentary Committees” arranged by the Australian Government and it was conducted at University of Queensland, Brisbane, Australia in October - November 2014.